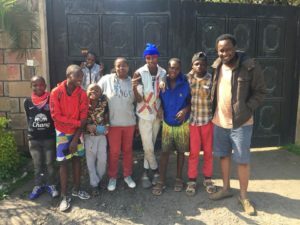 Professional, international graffiti artist and founder of Graffiti Girls Kenya, Paul -Douglas Kihiko aka Smokillah took to Nakuru at Rafiki Mwema to work on the mural on the boys new home as part of his task as the Goodwill Ambassador for the rescue facility. 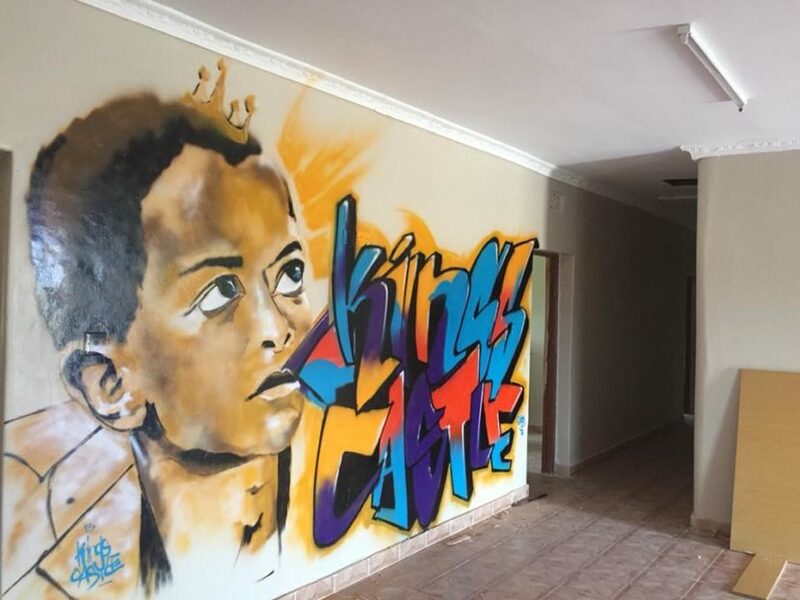 Smokillah created a therapeutic mural for the Rafiki Mwema kings castle which was built by the boys themselves. 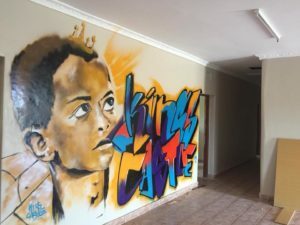 This was the very first time the international graffiti artist worked with Rafiki Mwema, a therapeutic home for sexually abused girls and boys in Nakuru. Smokillah will be conducting graffiti workshops at the facility at yet to be announced dates. Smokillah is part of the talent managed by Soundset Africa Creative. Soundset Africa Creative is a community of extraordinary independent creative individuals who come together with a common goal of developing a platform that encourages collaborations in artistic works.